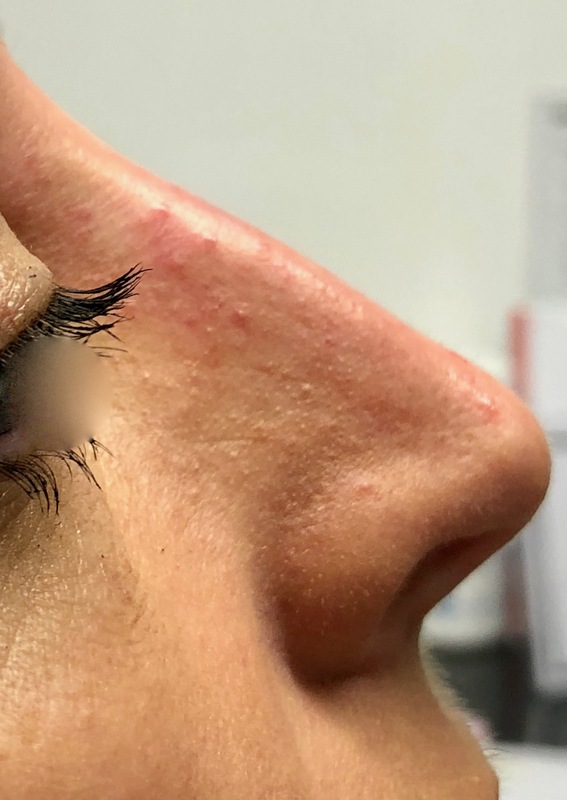 Below are some examples of the areas that we can now treat with dermal fillers. Gone are the days when nose to mouth lines and lips were the only areas that were treated. With greater understanding of how the face ages we are able to treat the causes and not just the effects of ageing. Click on any image to view in detail. 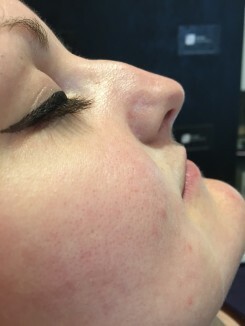 Dermal fillers and Lip Fillers such as Restylane are injectable gels frequently used to smooth away facial lines, wrinkles and enhance facial features such as the cheeks, chin or lips. They are administered by registered aesthetic practitioners. Within the UK an aesthetic practitioner can be defined as a Plastic Surgeon, Cosmetic Doctor, GP, Dermatologist, Cosmetic Dentist or Aesthetic Nurse Practitioner. The Restylane range of hyaluronic acid dermal fillers are a scientifically advanced range of non-permanent dermal fillers from Galderma. Formulated using Nasha and Optimal Balance Technology™. 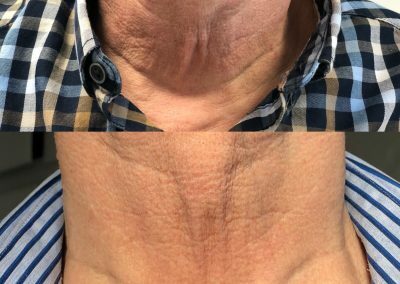 Restylane delivers instant results to help smooth away facial lines and wrinkles, add volume and define the contours of the lip as well as reduce other visual signs of ageing. 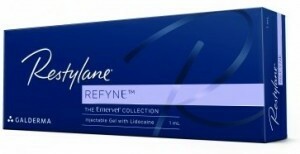 There are seven different products within the Restylane range of dermal fillers. Each contains a local anaesthetic, lidocaine* to help make your treatment as comfortable as possible. 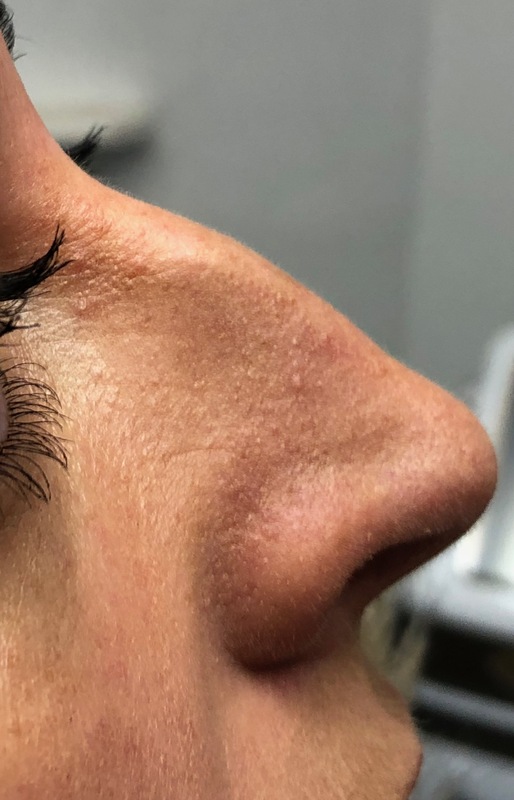 In addition, each dermal filler product within the range is specifically designed to complement the different layers of the skin for smooth, natural looking results. Restylane is an exciting and sophisticated range of dermal fillers designed to help you look and feel your best. Smooth away facial lines, restore volume or enhance your smile with a lip treatment. 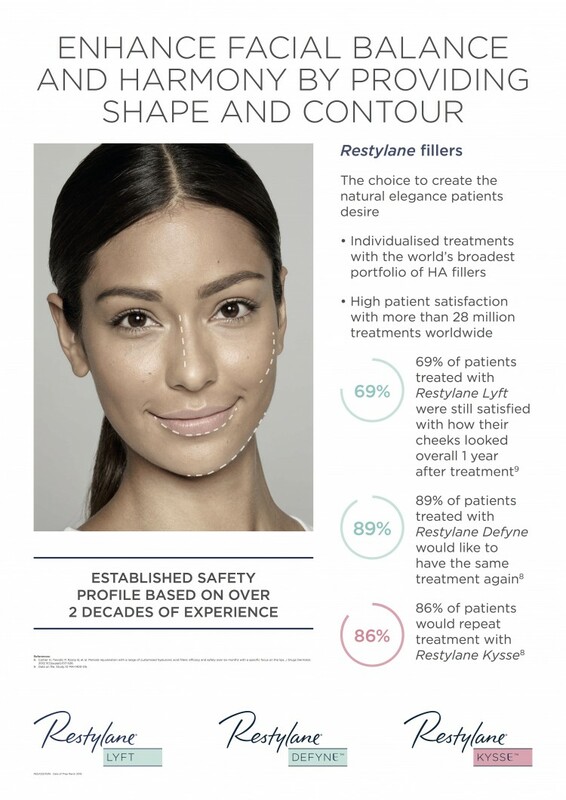 The Restylane range is designed to complement the varying stages of facial ageing to provide natural looking results. 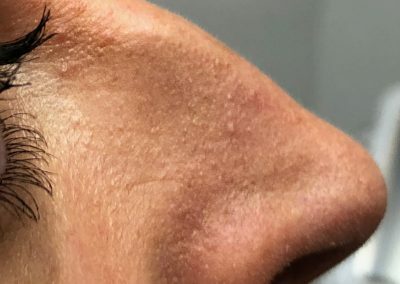 What is the Restylane range of dermal fillers? 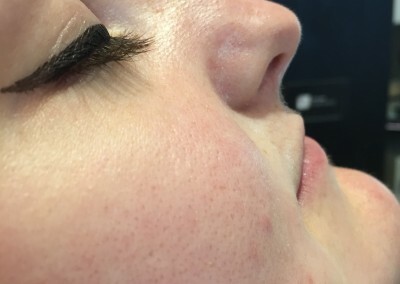 Restylane is a range of products used for non-surgical facial aesthetic enhancement. 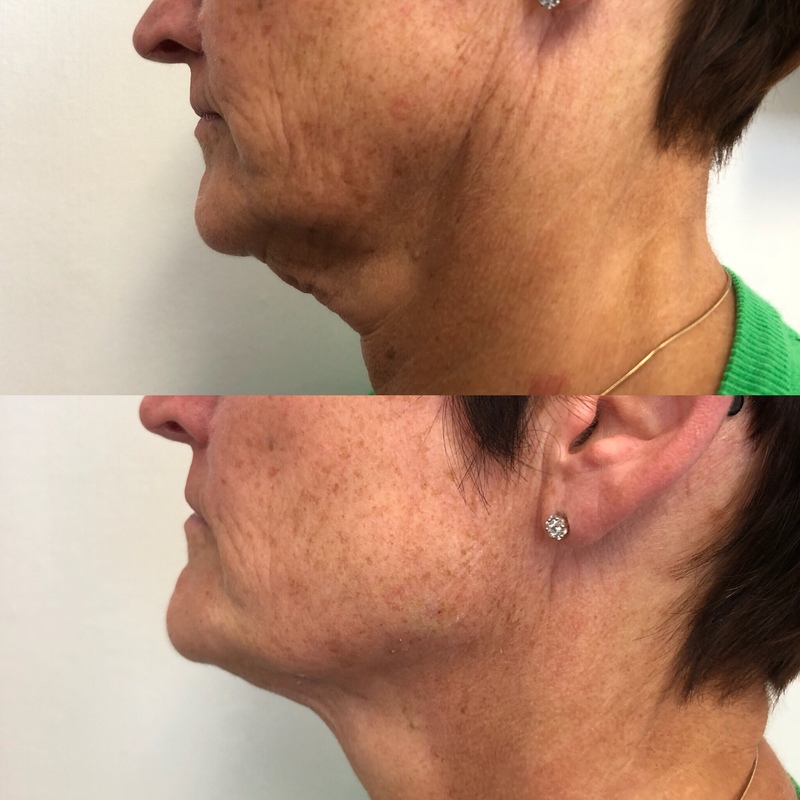 Used by trained and qualified medical aesthetic practitioners, Restylane provides an effective way of smoothing away wrinkles and enhancing and/or replacing lost volume to facial features. 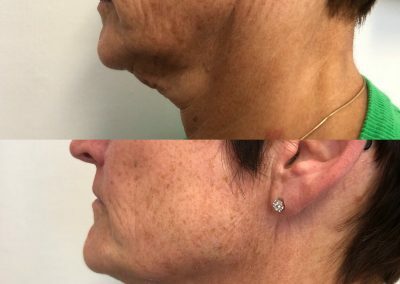 What are dermal fillers like Restylane made from? 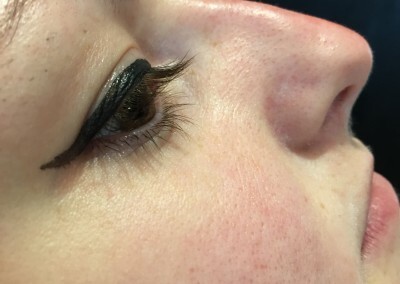 There are many different types of dermal filler available within the UK today. 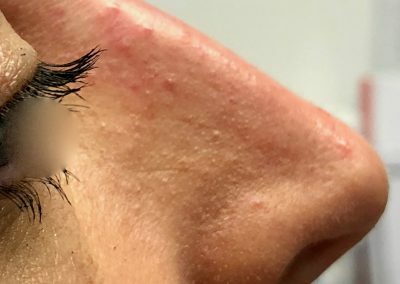 We use Restylane which is based on a substance known as hyaluronic acid, a natural sugar molecule that is found in most living organism’s and that has been used in facial aesthetics for many years. 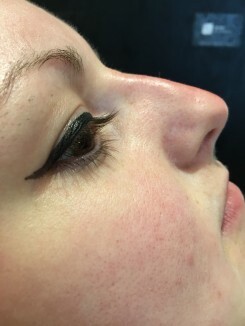 Restylane incorporates the unique Optimal Balance Technology™ and Nasha technologies, providing a customised range of dermal filler gels that ensure perfect integration into the varying skin layers for all treatments. 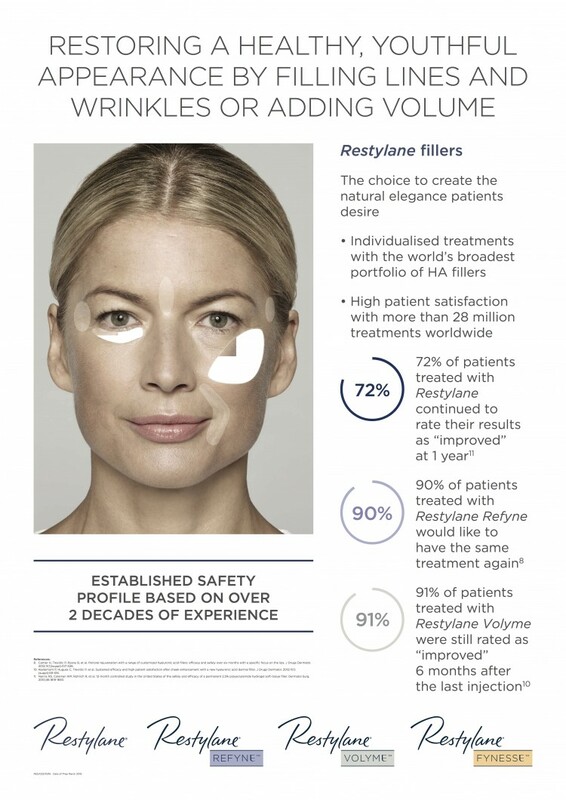 The proven technology and safety profile of Restylane offers safety and longevity which are supported by extensive clinical evidence – giving you peace of mind. 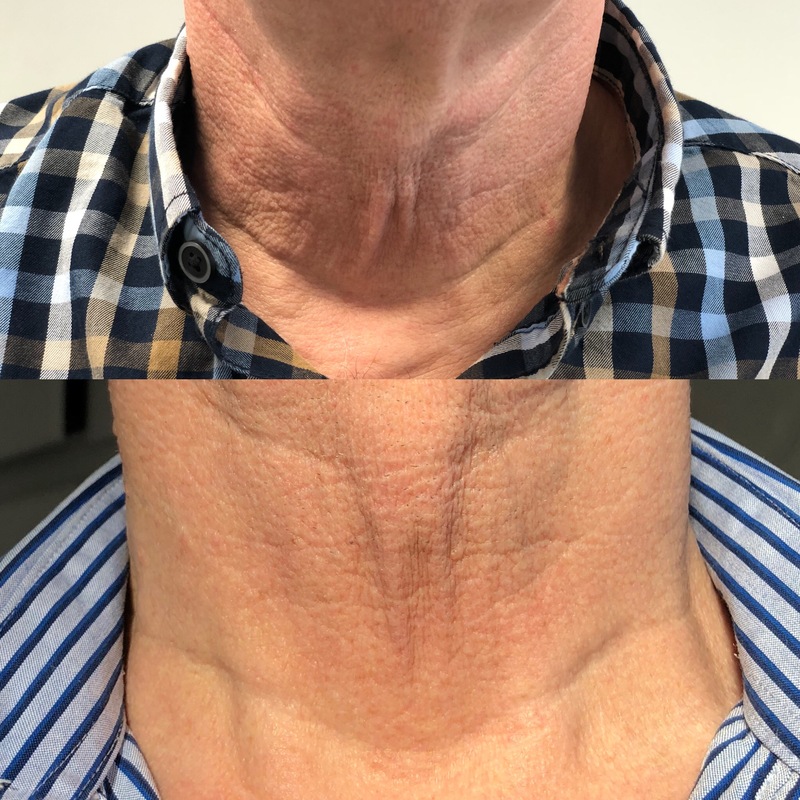 So whether you are looking to restore or enhance facial features or smooth away facial lines, wrinkles and folds – the Restylane range will have a product to suit your individual aesthetic needs. 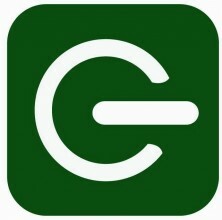 Contact Greenwood-Dental today on 0121-453-7949 and discover what Restylane treatments can do for you.